If you're here you're probably considering a cruise with your kid (s). Thought I would share a few things I learned while I was planning for the cruise and while cruising. *BOOK EARLY* we booked late so it was slim picking ! I was hoping for a cancellation but nop ! The ship sailed full. First things first, if you're on a budget, it's best to work out the cost of cruising vs flying. With flying, kids under 2 are free. 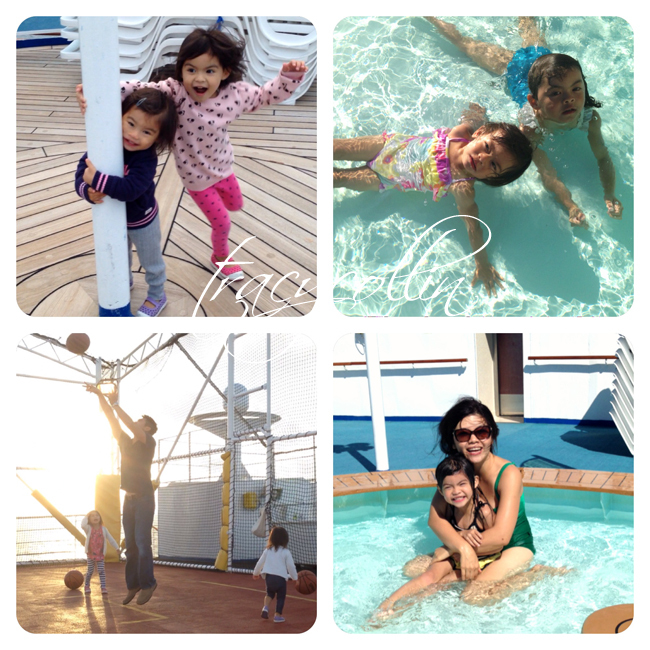 With cruises, there's no discount for kids, ours paid the 3rd and 4th passenger's cost (about 20% less than us). Cruise is all inclusive vs eating out/cooking if you're flying somewhere. You should work out the cost of food, entertainment, transportation, etc and compare notes. 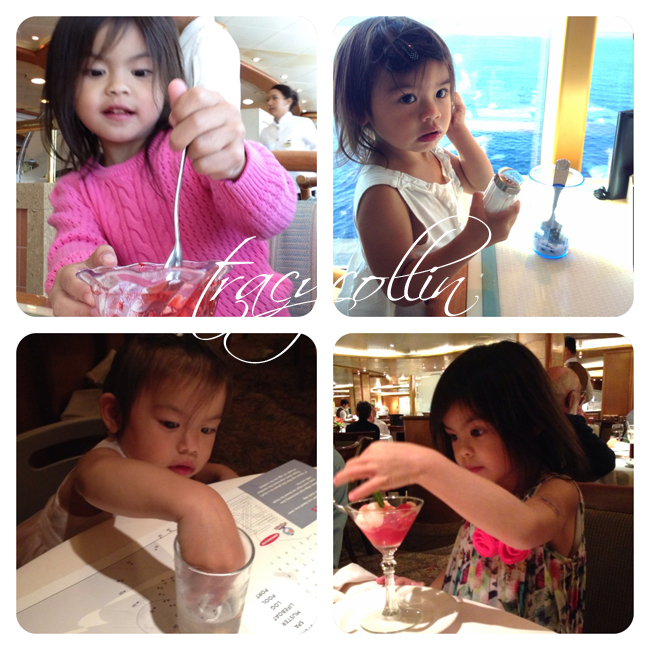 For me, seeing that our kids ate barely anything, we had 3 dinners in the "fancy" dining room and didn't get to watch any show :( it's way too expensive to cruise with a toddler (under 4). 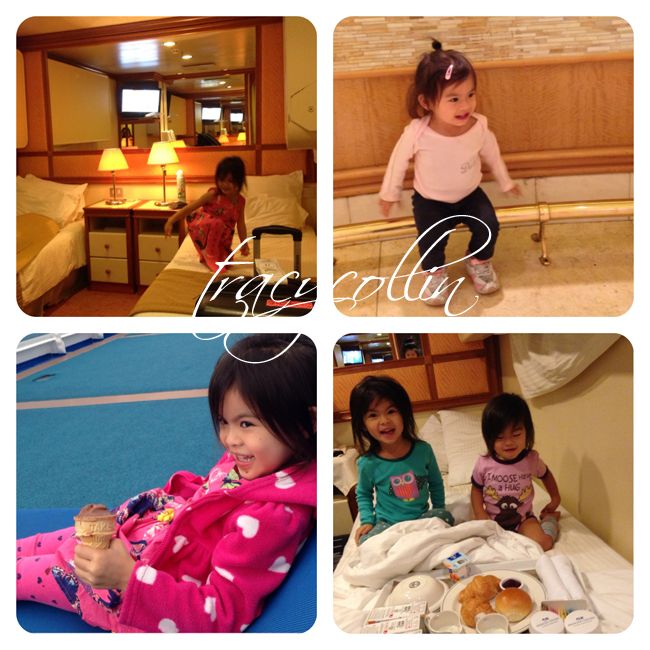 - kids are different when they're on vacation ! esp. on a cruise where we're on this huge boat for days, and everything is new, everything is exciting. They want to touch everything, look at everything, try all things, swim in all the pools, talk to everyone, etc etc !!! It's overwhelming for them. - despite the massive size of the ship, out there in open water, the waves can be scary ! I got motion sickness when we sail pass Oregon and was in bed for a good part of the day (Gravol didn't help). When I did make it out for some fresh air, I noticed everyone walk like they're drunk ! After Oregon, the Cali. water it was nice and calm. - 70% of the ship was seniors or close to senior's age. I didn't expect that many (1st timer here). They love to talk to the kids, ask us about the kids, going out of their way to approach us, engage in games with the kids, and tease them. 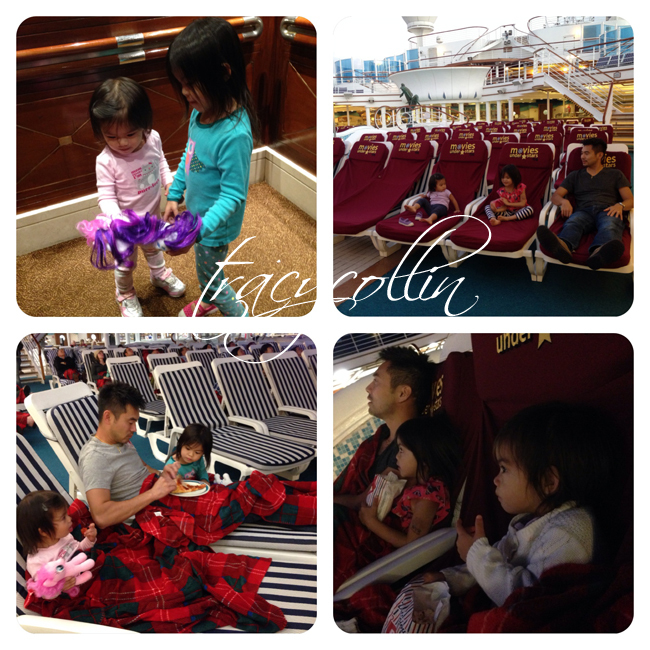 On a ship with 2596 other passengers and 500 crew members (who also like playing & chatting with the kids) expect to have more than a few 'small talks" each day !!! - cabin steward loves to clean your room ! Ours vacuumed and cleaned our room 3 times a day. The min. we're out they're in there cleaning. It's great seeing the bed made and floor spotless every few hours. They earned the gratuity for sure (we did give extra too, on top of the manditory $12/per day/per person (baby included)). - the disembarkation time on the itinerary is not the exact time you get out of the ship. If the ship docked at 8, we don't get out til at least 11 or 12. There are 2596 people who wants to get out in the same time as us :) We also lined up later too, as the kids can't wait in line for that long. We went on the Grand Princess. 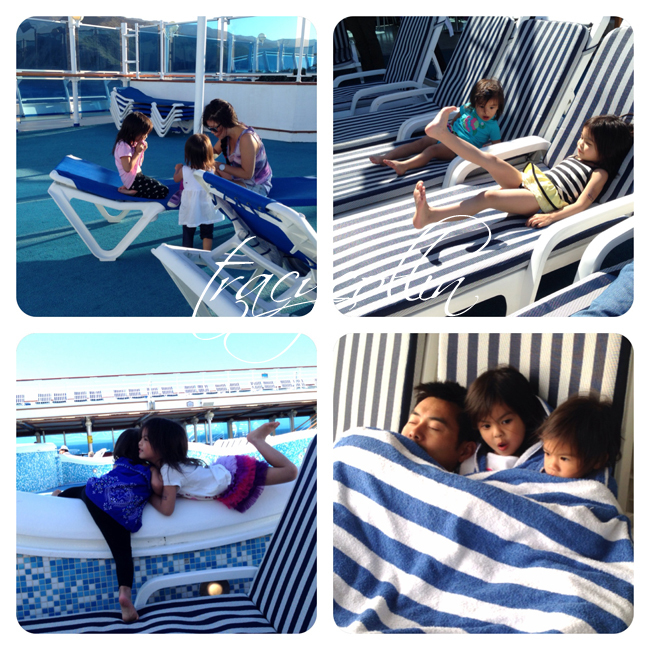 There was NO kiddie pool, all the pools on the ship were 6-7 feet deep. I decided to let our kids swim in the 1 1/2 feet dipping pool (meant for those who are tanning to go in for a dip to cool down). People were tanning at the front of the ship so this doesn't get use that much anyway. I also brought a blowup pool but we didn't use it. IF you plan on bringing one, remember to bring a pump and you just have to ask the pool steward to fill it up with water for you. If pool are on your must-haves list, make sure to check in advance with the ship. Was there any kids program ? Yes there is. We went to one, and it's a craft session and movie. My eldest prefers being with us and her sister (I wanted her to keep her sister's company anyways so we opted out (my youngest was too young for the program, they need to be 3 or older)). If you have kids under 3, I recommend going on a Disney cruise (friends went and loved it), where there are more activities and amenities for baby/toddler, a "normal" cruise would be better for older kids, 3+. I can imagine it would be quite fun (+relaxing) with older kids as there's a bit of everything for everyone. The time out of the ship and visiting cities were excellent. Perfect weather and beautiful cities. The time we're on the ship is a mix bag ! 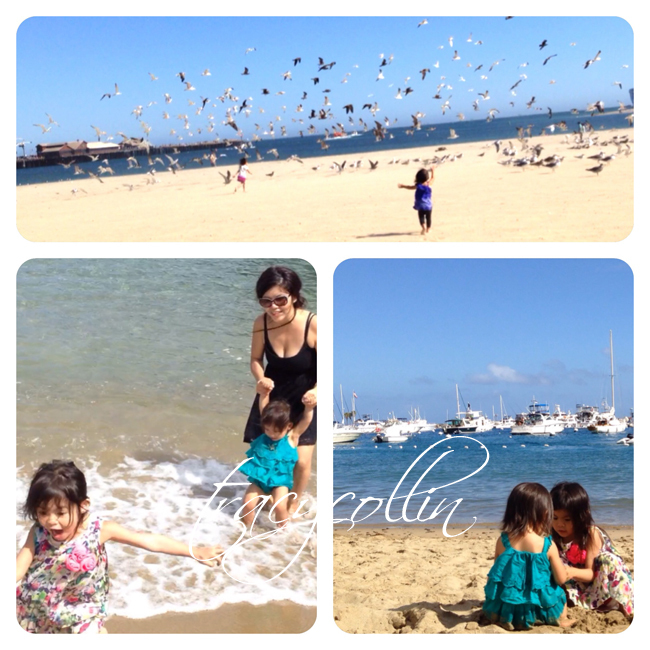 As parents you quickly learn to be creative with what you have so all it all, we managed not to be too stressed. We play lots of games, sports, draw, dance, talk, and play a lot of "I spy...". We did watch a few movies under the stars (outdoor movies). We also discovered an excellent basketball court at the very very top of the ship that's fully covered with net so it was the perfect spot for the kids to run free, scream to their hearts content, draw, play games, etc. My hubby gets to shoot some hoops there while I get to sit back, watch the kids having fun, watch the sun shine and the waves. How was the food ? Excellent. There 3 times we made to the "fancy" restaurants was excellent. Service was good as well as the food. A more-than-adequate main course menu, fancy desserts (like creme bulee, exotic gelato, etc), "fancy" kid's menu, and beautiful presentation. The only thing I don't like about restaurant is that it's slow. It takes a while for food to come so the whole thing takes about 2 hours. Which was rough on us as my toddler can't sit in her high chair for that long. I gave her the sugar packets, the salt shaker, the fresh flowers on the table, ice, and bread sticks to play with in between courses. It's a good experience but we prefer food doesn't take this long to prep :-) We also use their free room service for breakfasts and it was excellent ! The BUFFET was perfect for us. 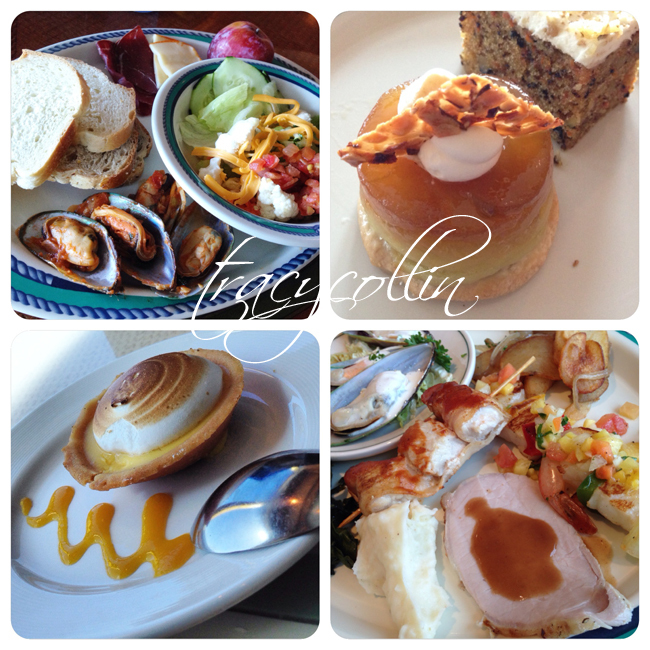 There are so many varieties in the buffet and there are so many place to eat so it was nice. If the kids are edgy, we eat outside where they can run around while we eat. There are food in the buffet dining room throughout the day (closed at 10pm) so we did eat a lot. There were rows and rows of enticing desserts so it's hard to try out one or two :) It was really nice not having to worry about cooking or cleaning or figuring out what the kids want to eat or scouting out kids-friendly restaurant or waiting for food to be prepped. Everything is there for you, hot and tasty !